Yes, yes. Not just that: I also put the tyre decals. I remember I took special care in including all that others had forgotten. I remember myself digging into the books... I also put some minor sponsors that others overlooked. that's what I have, and yes they may be done. Wow that is awesome! I want to make a Canadian GP version of this car and I see your sheet includes the Pharmaprix logo (Quebec pharmacy), and others. I'll PM you. Yes, we'll fix the way (sorry can't answer pm's nw, smething seems t be wrong) to do it. Lk well if there's something else missing. I also remember I did the specific French GP version fpr someone, with "FABRIQUE EN FRANCE", plus "speedy", though I can't find the file... but I will!! 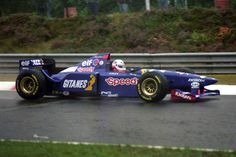 JamesB wrote: I also remember I did the specific French GP version fpr someone, with "FABRIQUE EN FRANCE", plus "speedy", though I can't find the file... but I will!! cool ! go and do a merveille fabriquée en France! Progress has been slow but I've added some more filler/etc to the body. I wasn't happy with the step on the airbox. Per reference photos it was a little too short, so I added more milliput to help extend it a little. 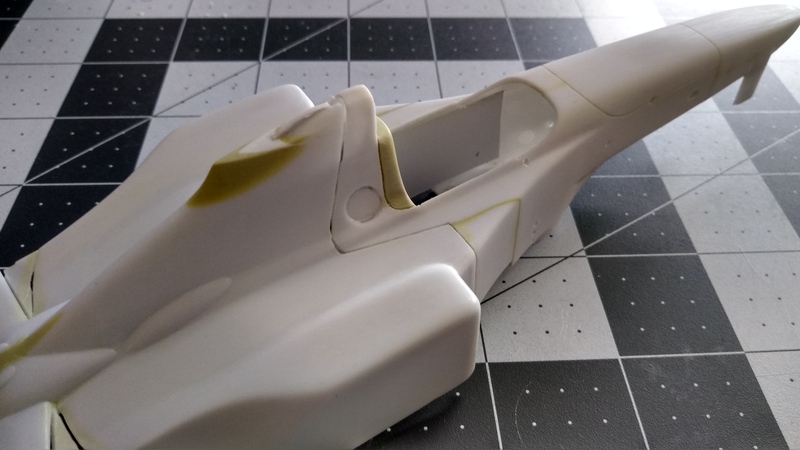 I also managed to shape the headrest, and filled in the panel lines on the monocoque right under the cockpit which weren't present on the real car. I need to cut some plastic card to add the inner cockpit sides as they're missing in this kit. 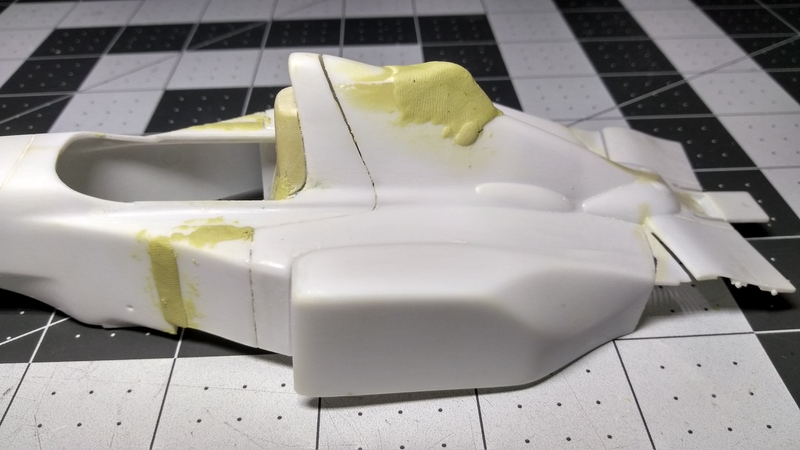 The body looks extremely messy but it will be cleaned up and ready for primer soon, then I can start focusing on other parts of the car which shouldn't need much additional work. I was able to sand down and successfully lengthen the airbox step. 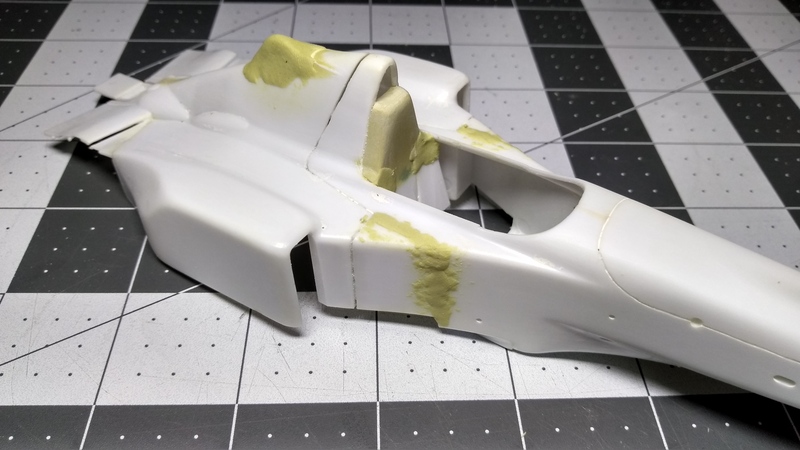 I also added a 'fin' to the top of the airbox that appeared on the real car. 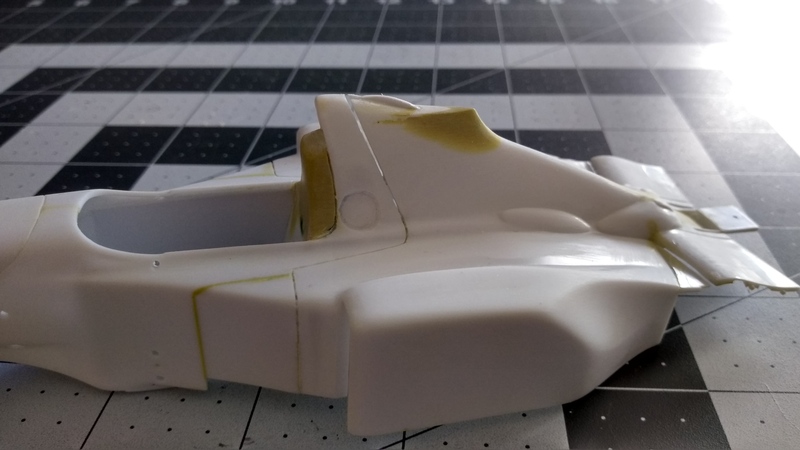 I also 'drilled' out the fuel filler cap and added some plastic card to the back, where I'll be using some metal fuel filler caps left over from a Tamiya F2001 kit. I'll probably need to clean these up a little but I think it's a good start. Nice looking work CTurbert, the JS41 conversion is coming along nicely. Looking forward to your next update. Always good and interesting to see people doing this kit as a Ligier or as the original Benetton. I will do everything I can to bring the Number One back to Ferrari.The whole team and all the fans deserve it.